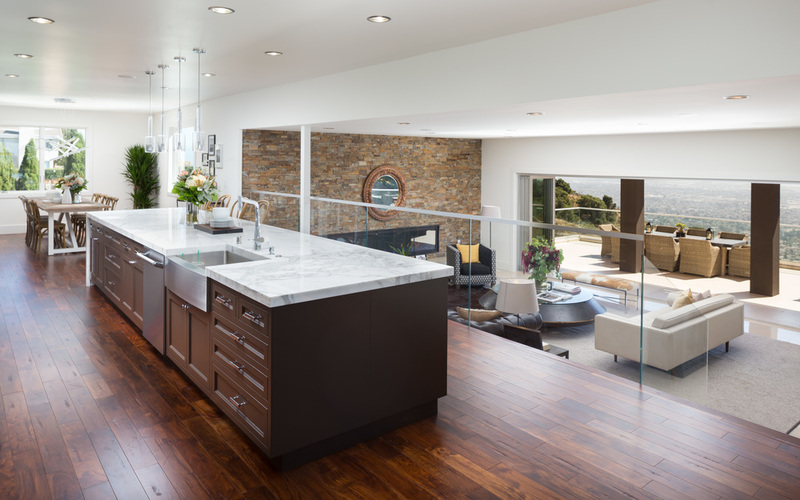 AE3 designed the total remodel of this stunning house set high atop the Oakland Hills. The distinctive, 6 bedroom, 7200 square foot residence showcases sweeping panoramic views of the Bay and is designed for both form and function. 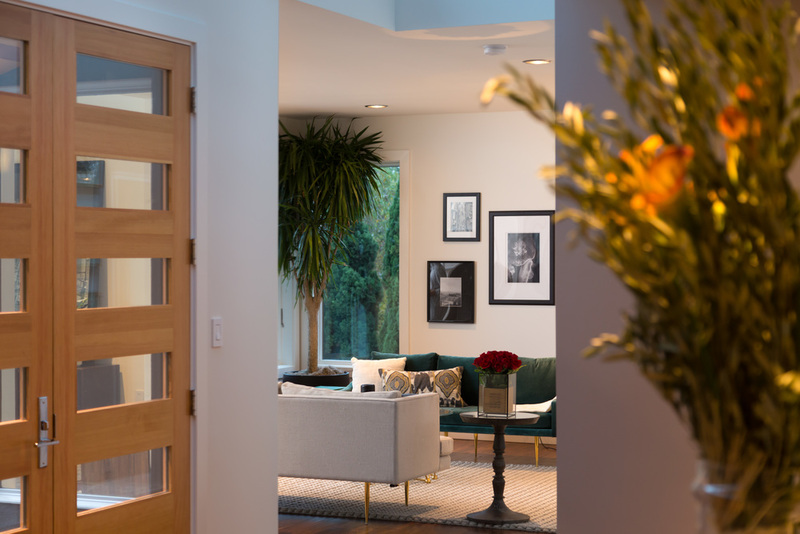 Through the double front doors, a stacked stone wall accents the foyer and introduces the luxurious finishes and details throughout the home. 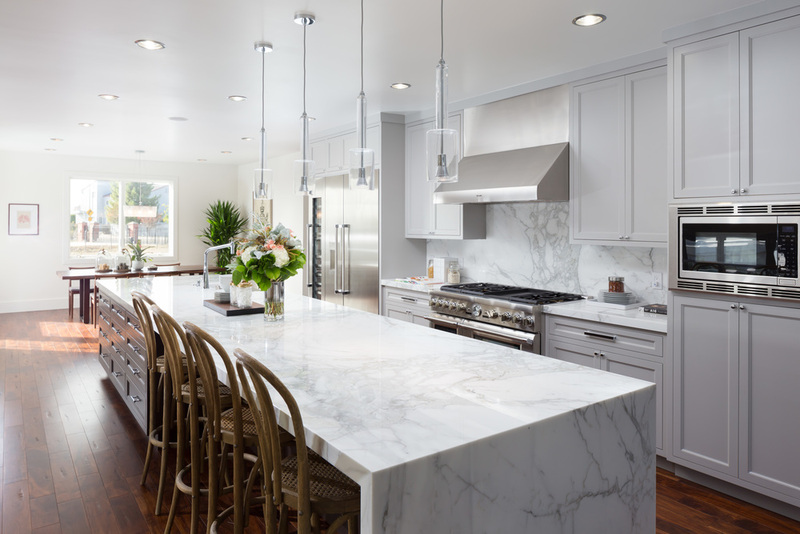 The hardwood floors lead to a modern kitchen complete with a 16 foot-long Calacatta marble island with waterfall edge. The open floor plan flows into an expansive living area featuring a 10 foot-long fireplace with stone surround. Folding glass doors open completely to extend the living space outside, onto a honed porcelain-finished balcony with glass railing. The master suite features its own fireplace and private balcony. 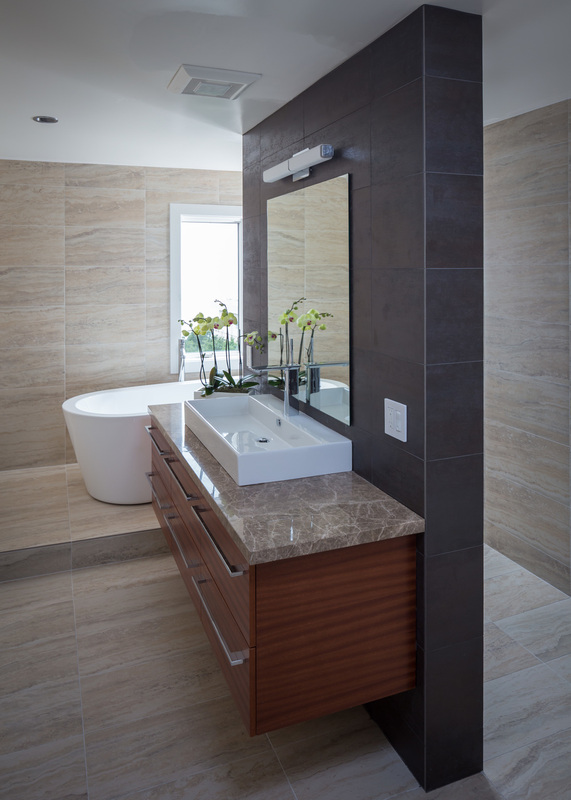 Each of the home’s six and a half bathrooms has a distinct identity, with floor to ceiling marble, travertine and porcelain, and granite floating vanities with vessel sinks. 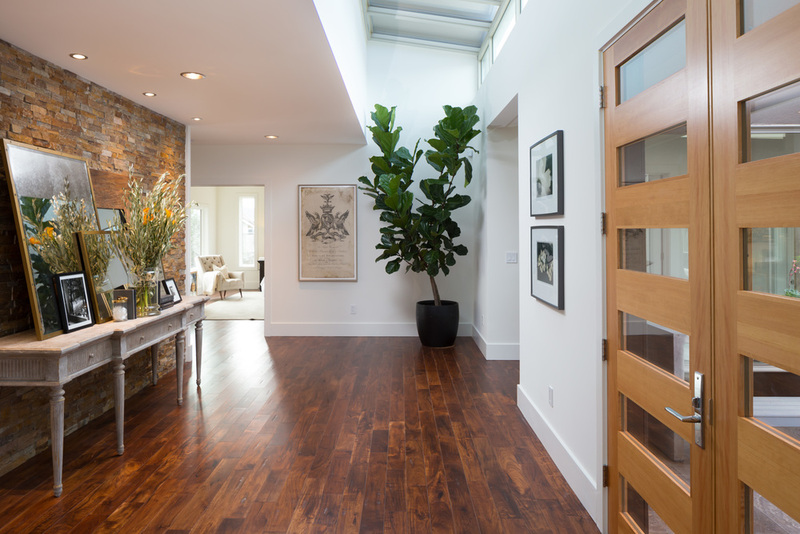 Every detail, finish, and fixture was thoughtfully selected to create a work of art without sacrificing utility.